I had more than enough shopping in Japan, especially in Tokyo. I felt it was too much. Instead of shopping, we should have done more sight-seeing. 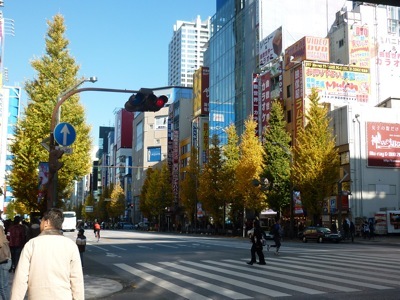 But anyway, if you are in shopping mood, Tokyo offers you an endless shopping experience. 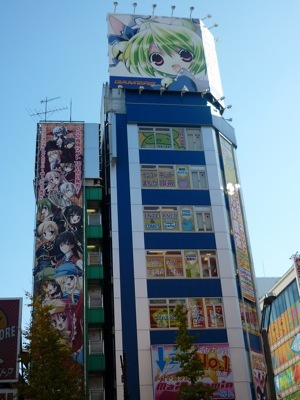 The whole street (not sure how long but it is long) lined up with shops selling electrical, electronics, Japanese anime and manga lifestyle merchandise. The salespeople here can converse in simple English and Mandarin. I don’t find the products here any cheaper. However, if you are planning to get electrical products here, please insist on international warranty and English instruction manuals. Japanese are very into its comic characters which I know nothing about. You can get collectibles and clothing for your favorite cartoon characters here. 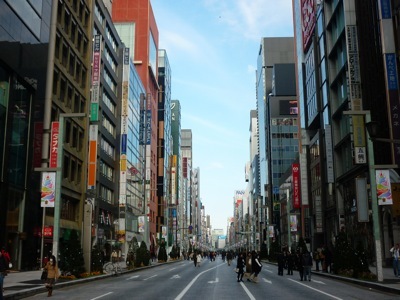 Ginza is another shoppers’ paradise. On Sunday when we went there, the road was closed and shoppers could walk freely even in the middle of the road. Ginza is full of merchandise of intentional brands. All luxury labels from handbags to clothing, from cosmetics to shoes. As you can see it is a place for fashionistas to gather. I didn’t know this until I came to Japan that Burberry has a range of handbags which is only available in Japan. It is called Burberry Blue Label. Because of its exclusivity, many tour mates came to Japan to buy Blue Label home. 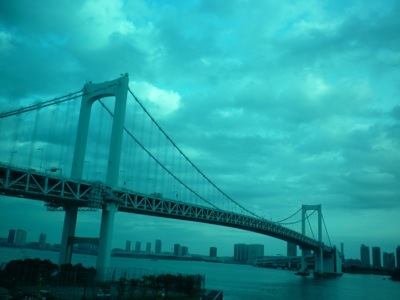 To get to Odaiba, which is on a man-made island located on the other side of Tokyo, one has to cross Rainbow Bridge. 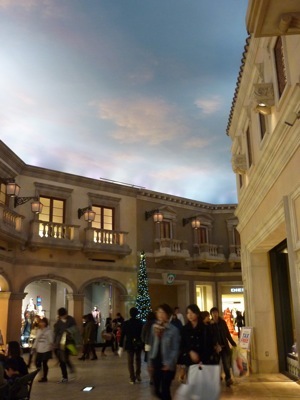 Palette Town has two main sections: Venus Fort and Toyota City Showcase. As usual, my wife had a bigger say and we decided to visit Venus Fort shopping mall over Toyota’s Mega Web with our tight schedule. Venus Port is a mall of European architecture. 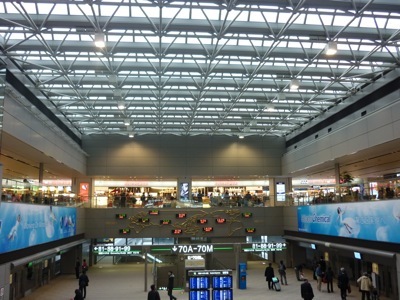 It has an indoor artificial sky which emulates day and night. I think they got the inspiration from Las Vegas’s Caesars Palace. After we were done with Palette Town we headed for Port Hotel in Narita for our last night in Tokyo. On the way, we stopped by at a restaurant for Chinese dinner. Next morning after breakfast at the hotel, we took a shuttle bus provided by the hotel and set off to Narita Airport. When we reached KLIA, it was thrilled to see J and K (after a week!) who were also in the car with my brother-in-law who came to fetch us from the airport.